For this week we are going to do a little cross over to a pop rock classic from 1969. This special song request came to us from a dedicated follower and Facebook friend. We can remember as kids growing up hearing this song 10 times a day on the radio. Three Dog Night for about a 5 year span was all over the radio and on all top 10 lists from around the world. The biggest surprise is that a lot of there hit songs were written by other people. But when you have earned 12 gold albums and recorded 21 consecutive Billboard Top 40 hits in a very short time period you can understand that they just couldn’t have wrote all that material by themselves. “One” was written by the late Harry Nilsson around 1967. He recorded it in 1968 but didn’t have much commercial success with it. 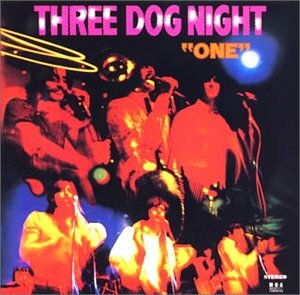 Then in 1969 Three Dog Night did this version as a single and it shot up the charts to number 5. This entry was posted in Classic Rock, Forgotten Rock Classics, Forgotten Songs, Harry Nilsson, Music, One, Pop Rock, Rock Band, Three Dog Night and tagged Classic Rock, CS5711, Forgotten Rock Classics, Forgotten Songs, Harry Nilsson, Music, One, Record, Rock Music, Song, Three Dog Night. Bookmark the permalink.